Some people are not satisfied with their smile due to the colour of their pearly whites that look dull and yellowish. Others are not pleased with how their teeth become crooked and misaligned as they age. For a dull smile, professional tooth whitening is always the best and recommended solution. With misaligned teeth, there is a whole world of other options. If you want to straighten your teeth, there are wide ranges of treatment alternatives to choose from. Treatment options include invisible, lingual, clear and the traditional metal braces. Nowadays, there are better options than traditional braces. Clear orthodontic treatments allow dental professionals to straighten teeth without the presence of braces, wires and brackets. If you have straighter teeth, you will not only improve your oral health, you can also boost your overall wellbeing as greater confidence can lead to a happier, more contented life. Moreover, straighter teeth can perform better, which increases the quality of your life. Properly aligned teeth reduce the stress engaged on the joint as well. Clear aligners are custom made, allowing them to follow the contour of your teeth and give you the finest smile in the best and most comfortable way possible. Are Clear Braces for Everyone? Clear aligners and braces is an affective treatment to straighten teeth without wires and brackets, however, not everyone is a good candidate for aligners. If you can’t keep the removable aligner in your mouth for at least 22 hours a day, then your dentist may recommend metal or ceramic braces instead. In addition, if the patient is an elderly suffering from dental problems, a child who has yet to develop all of his or her molar, or a person who has severe malocclusion or spacing issues are poor candidates for clear aligners. They are often best suited for traditional orthodontic treatments. Your dentist is the best person to determine if clear aligners are the right option for you. At Q1 Dental, we offer the latest options in orthodontics. If you’re looking for an impressive and clear alternative to braces, come visit our Melbourne dentist as soon as possible for ClearCorrect clear aligners. ClearCorrect straightens your teeth with no brackets and wires involved. All series of clear aligners provide a perfect fit, which makes them the most comfortable alternative to regular braces. To know more about the treatment procedure, benefits, and your candidacy for ClearCorrect, visit your dental care partners in Melbourne here at Q1 Dental. Remember, straighter teeth are healthier teeth, so don’t delay your treatment! Our Q1 Dental practice is conveniently located within St Kilda Road Towers at 1 Queens Road in the heart of the St Kilda road Business precinct. We are close to public transport and only minutes from Melbourne CBD. For Medibank Private, HCF and CBHS, claim your PAY NO GAP OFFER on check-up and clean. Bulk Bill Child Benefit Schedule Up to $1,000. 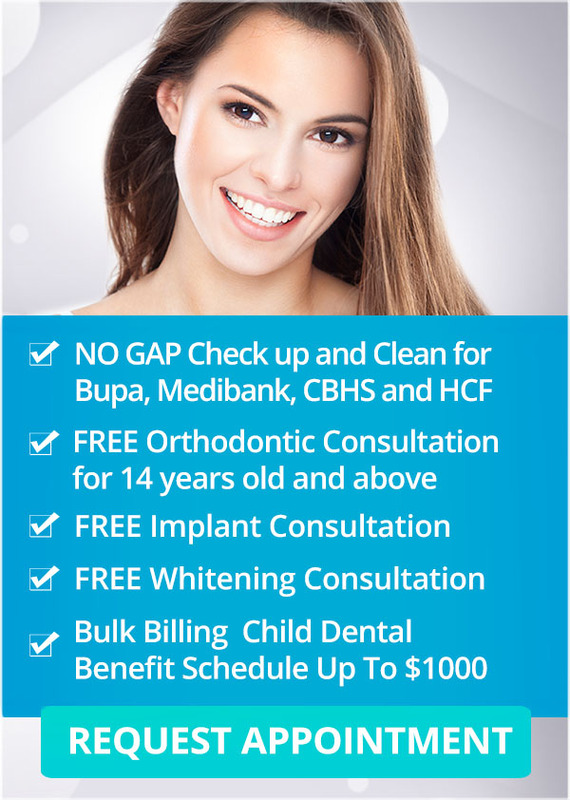 FREE Orthodontic Consultation for 14 years old and above. Don’t miss our special offers! Call us on (03) 9078 1955 or book your appointment online. If Your Teeth Won’t Whiten, What are Your Next Options? © 2018 Q1 Dental. All rights reserved.